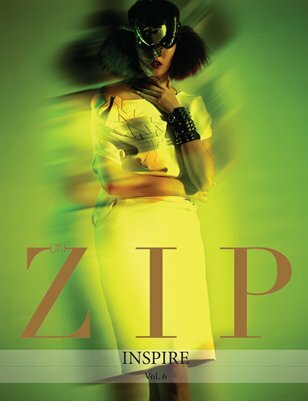 UnZIP Magazine Vol 6...... Turn the pages with us to view creative editorials, inspiring artists, like Yemi Sanni, Misty Dobson, Coyon Ford and so much more. One of our favorite interviews is with PRSVR, a fashion lifestyle brand. The front and back covers feature model Kendal Elder, (photographed by James Hayden). She captures the “Inspired” theme by showing her ability to be versatile and capture amazing images. We also produced a high fashion editorial at Cirque Indy, a fitness and circus facility and to top it off we were captivated by the beautiful intricate designs of Laurel Dewitt in "The Secret Garden" editorial. Vol. 6 is titled “Inspire”, every brand and contributor has their own business journey. We don’t see the hard work behind the scenes, so what’s inspiring is seeing vision turned into reality. The proceeds from each issue go directly to producing more creative opportunities in fashion and business. Thank you for supporting UnZIP!! !